go out of style from time to time, but you KNOW they’ll be back. But there are some we hope we’ve seen the last of! but a bargain never goes out of style! A lovely brand new aqua sleeper sofa, $1,195. 76x36x38″h. Sea turtle giclee, $375, 43.5″sq. This rustic ivory coffee table retails $420, ours has a small imperfection on the top so it’s priced to go at $295. 54x28x18″h. Pillows, $28-$42 ea. A BEAUTIFUL bedroom set…king poster bed, $895, 76x87x90″h. Dresser & mirror, $795, 66x18x40″h. Mirror, 40×46. Matching bedside tables, $245 ea, 28x17x30″h. White table lamps, $95 ea, 26″h. On the left, an fabulous desk and chair set by HENRY LINK. $225, 52x23x38″h. 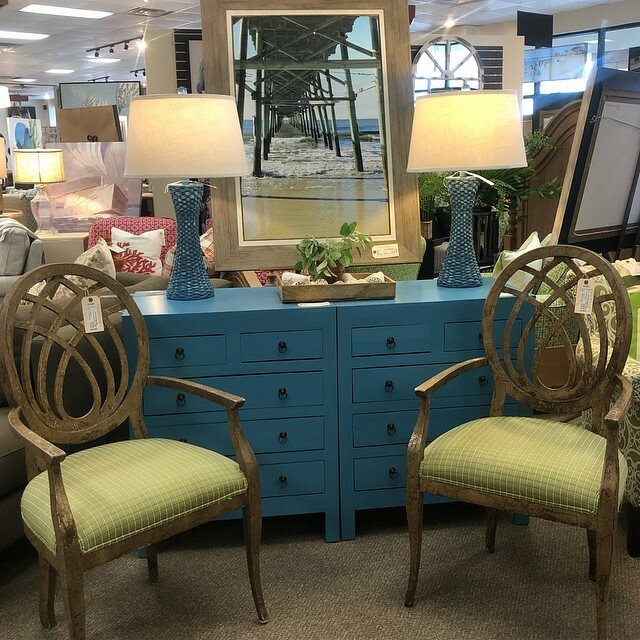 On the right a curvy wicker console for $145, 50x20x30.5″h. 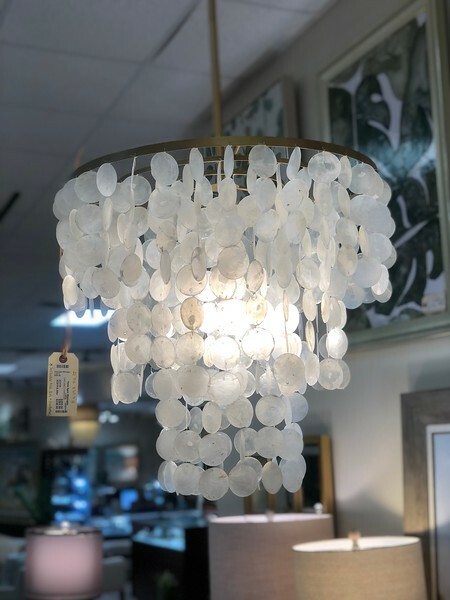 Pottery barn ‘Eva’ lamp retails ON SALE $90, our price $52. Accessories, $16-$38. Perfect for coastal living…a SLIPCOVERED group by Magnolia Home. Sofa, $1095, 89x39x33″h. Club chairs, $595 ea, 37x39x33″h. Floral art, $338, large scale, 52×62. Coffee table just $75, 48x38x20″h. Another great coastal look. Antique white credenza, $636. 72x18x38″h. Abstract companions $295 ea, 39.5″square. Seeded glass lamps, $113 ea, 31″h. Accessories, $16-$48. Set the scene for Valentine’s…oatmeal chaise lounge, $325, 30x56x38″h. Abstract companions, $345 ea, 44×31.5. 20.5″ iridescentlamps, $65 ea. Pillow and throw, $48 ea. Consignment score…black entertainment unit just $595. 108.5×20.5×76.5″h. Opening measures 48.5 w. Accessories, $10-$75. Look at this cozy consignment…Sofa, $495, 97x44x42″h. Coordinatingoversized chair, $295, 64x44x42″h. Pillows, $16-$52 ea. Abstract companions, $295 ea, 46″ sq. Timeless navy sectional in durable high performance fabric, $1,095. 85x115x38″h. Pillows, $28-$48 ea. Ocean pier giclee, $275, 50×28. Beautiful oval coffee table retails for $2,450, our price, $250! 47x24x18″h. Another refined coastal look…beachy giclee, $295, 38″square. Navy demilune, $295, 42x16x34″h. Glass lamp, $68, 25.5″h. Loving this blue & green pallette…queen size spindle bed, $395, 64x88x64″h. Green swivel chairs, $473 ea, 34x28x35″h. Boat giclee, $295, 48×30. Glass top nesting tables retail $300, our price $145, largest, 16×28.5″h. Pillows, $47 ea. And it POPS this tufted oatmeal sofa, $795, 89x36x34″h. Floral art, $195, 45×30. Green storage bench, $245, 51x20x17″h. Accent pillows, $52 ea, Black floor mirror retails $987, our price, $395. 46×82. Silver lamp just $40. 31″h. Such a pretty wicker dining set…a true classic at $395 for the set. 48″ diameter table. Curl up on this sofa for your morning coffee…beige tweed sofa, $556, 76″w. Rust storage bench, $165, 54×15.5×17″h. Coral POTTERY BARN pillows, $32 ea. Throw, $48. We love this look…ivory bench-seat sofa with iron details by MAGNOLIA HOME. $1,095. 88x40x36″h. Teak and ivory pillows, $47 ea. Guildmaster jellyfish abstract, $356, 55″ sq. A new shipment of coastal art is in! Priced clockwise, and all are $295 ea. Crab, 46×36. Shorebirds, 46×33.5. Waterway, 49.5×39.5. Crab, 39.5″sq. More fine art giclees, (l) $395, 39.5×49.5. (R) $295, 33.5×46″h. Just in on consignment…5-light ‘Chapman’ chandelier by Visual Comfort retails for $2,609, our price, $595. 20.25×35″h. 4-light retails $1,769, our price, $495, 17.25×29″h. 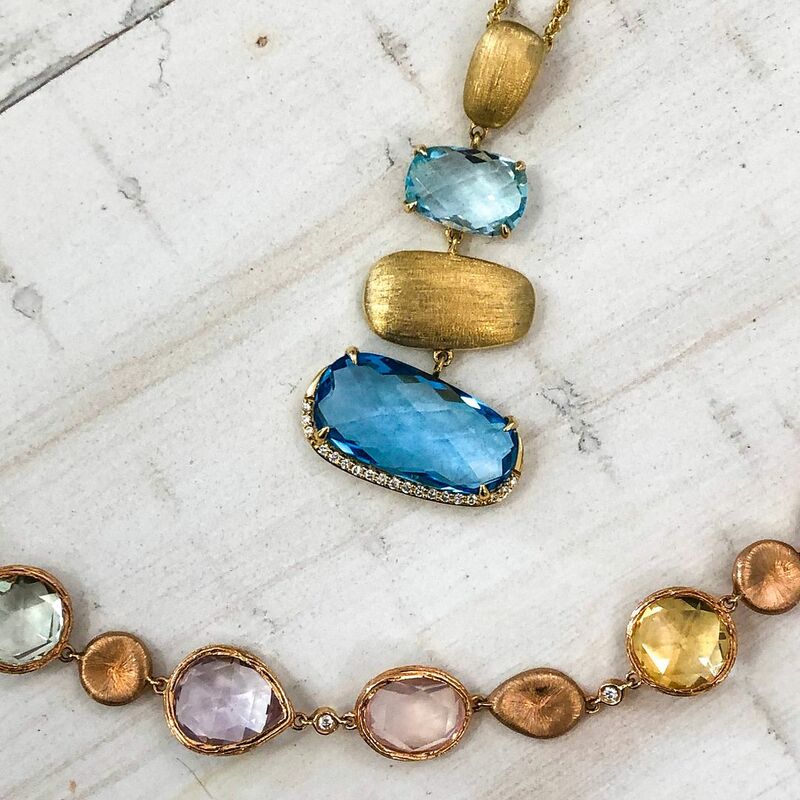 Capiz & gold…what a combo! $295, 31×20″h. Adjustable rod. Velvety charcoal sofa, $495, 64x35x36″h. Beach giclee, $295. 45×36.5. Ethan Allen leather ottoman retails $1209, our price $495, 41×29.5×16. Pillows, $48 ea. For all your coastal treasures…a super cute way to add character to your space. Canoe bookshelf $295. 26.5×11.25×77.5”h. More SLIPCOVERED goodness..100% Belgium linen sofa, brand new for $1,095, 67x37x32″h. Feeling coastal vibes with this heron steel art sculpture by Southport artist Tom Seaman. Retails for $1,500, our price $495, 78×36. 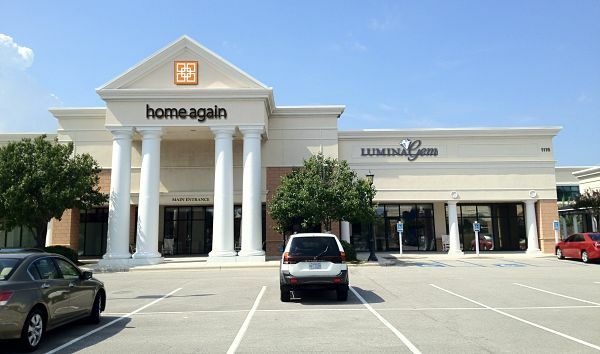 Take a look at these before and afters done by our incredible team right here on-site. 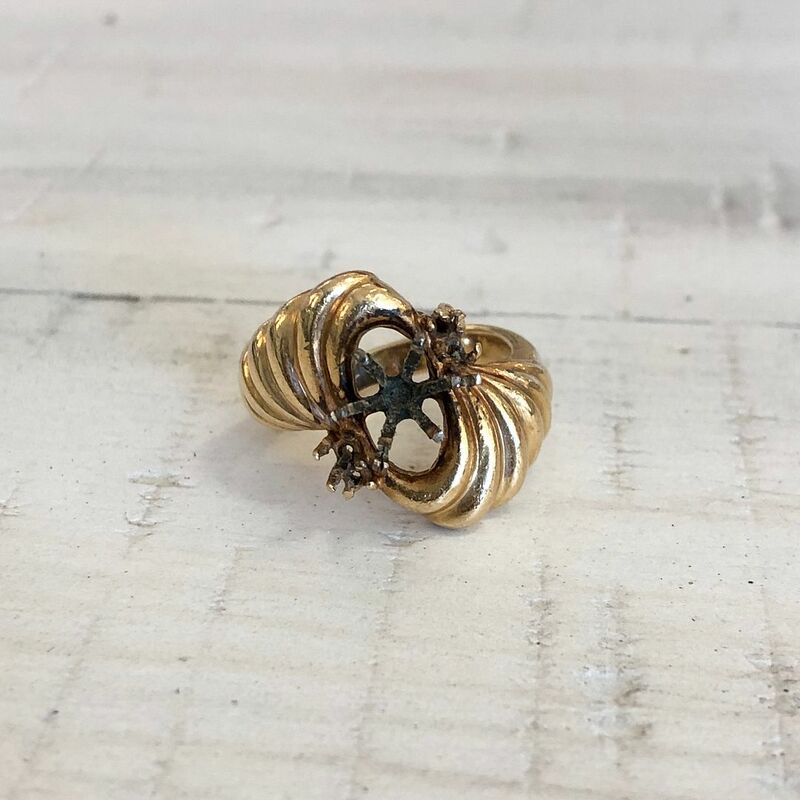 Our custom jeweler removed the stone out of an old setting & added it to this new custom made ring. Gorgeous. 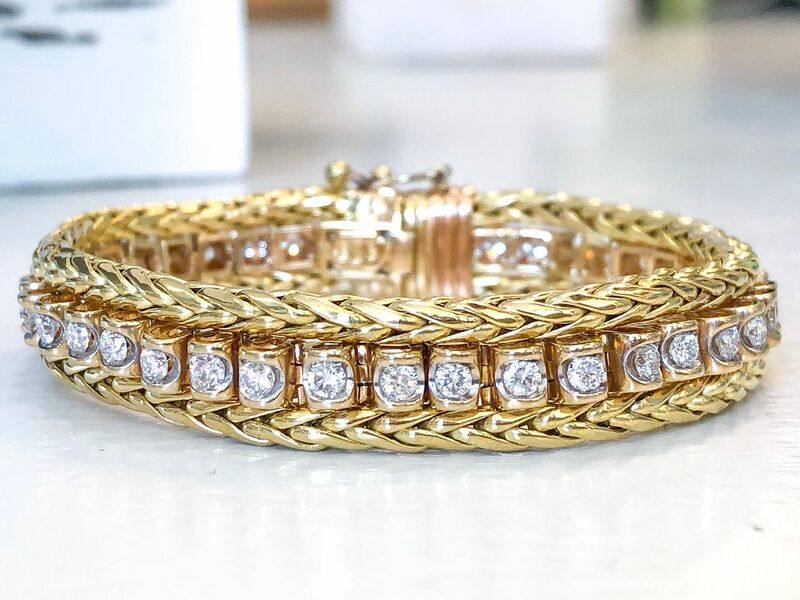 For this piece, our jeweler took the bracelet on the left and turned it into a jacket for the customers existing tennis bracelet! We love how it turned it out, what a WOWZA. Click the button below to learn more about our custom designs! 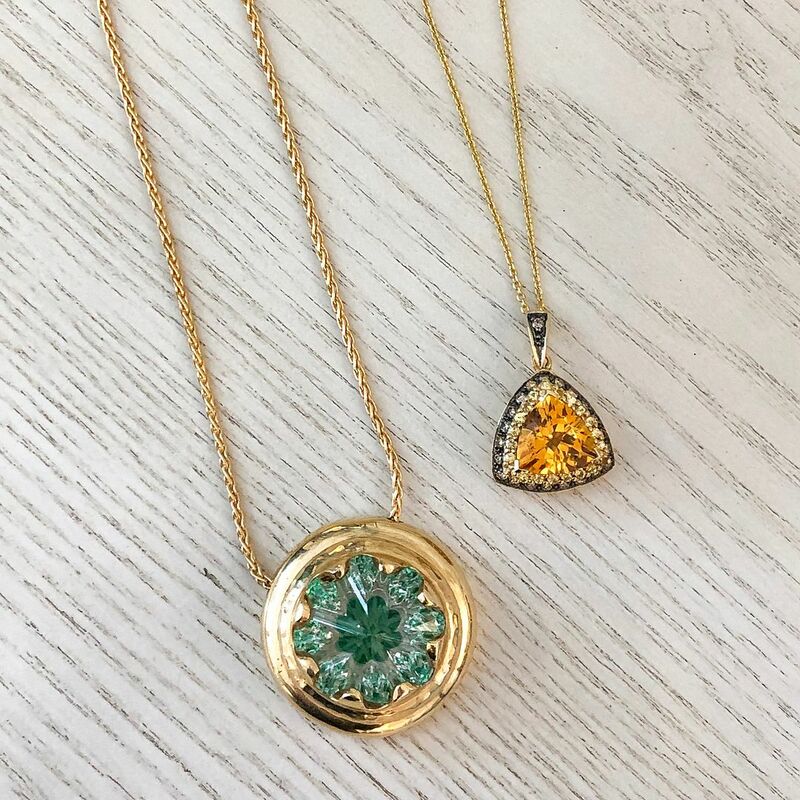 Even more good news…these gorgeous pieces were just added to our 30% OFF case! 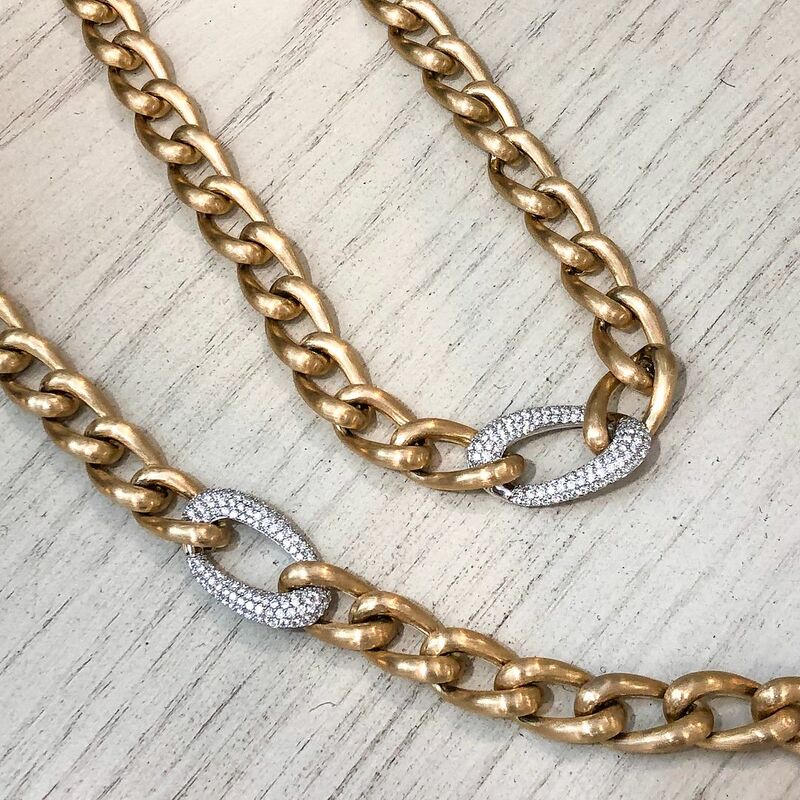 Allison-Kaufman 1.22ctw diamond and brushed finish link necklace, was $11,165 now $7,816. Allison-Kaufman 1.22ctw diamond and brushed finish link bracelet, was $7,095 now $4,967. 3ctw H color I1 clarity diamond bracelet in 18k white gold, now $2,275. 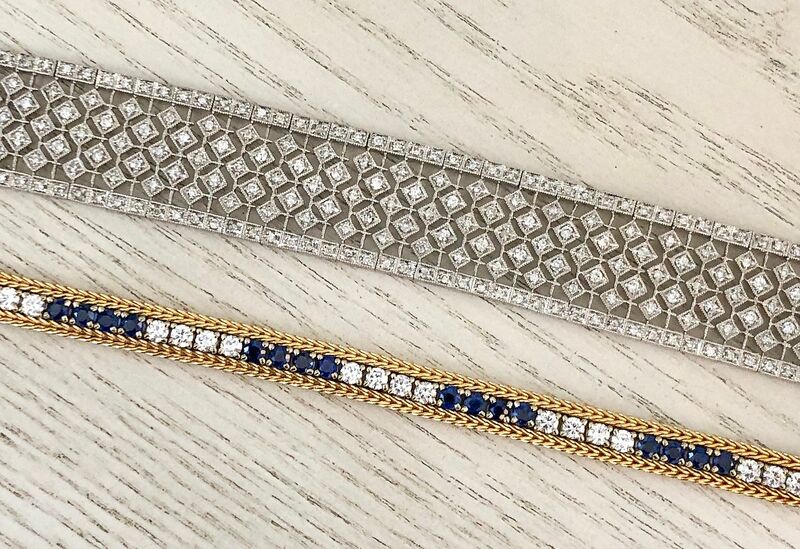 1.60ctw diamond and 2ctw sapphire bracelet in 14k yellow gold, now $2,797. 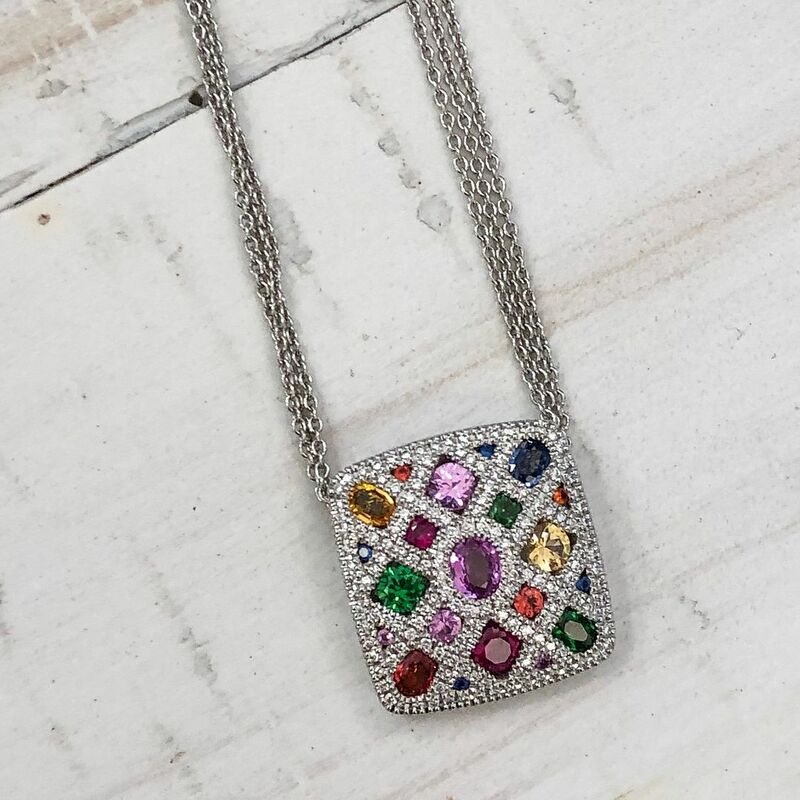 Allison-Kaufman multi-color sapphire, ruby, garnet, & diamond necklace in 14k white gold, now $3,217. Chris Wolfsberg 18.93ct parasol cut rainforest green topaz & rock crystal quartz assembled stone in 14k yellow gold, now $2,076. Le Vian citrine accented with chocolate diamonds and yellow sapphires in 14k, now $417. 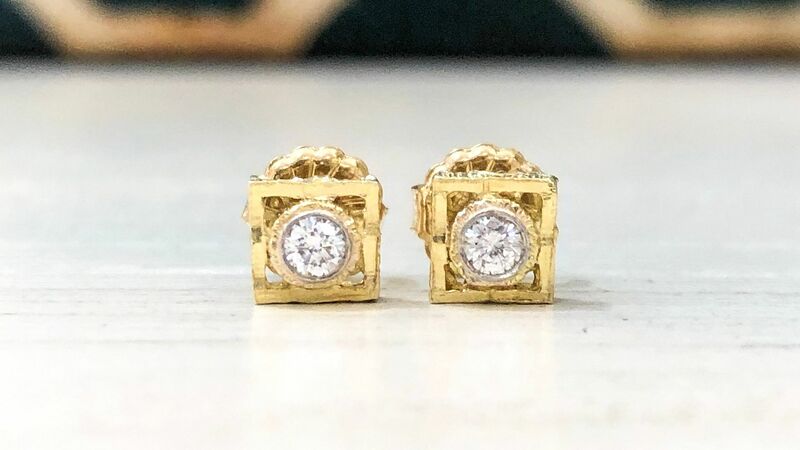 18k yellow gold and .20ctw E color VS clarity diamond earrings, now in the 30% off case at just $403. 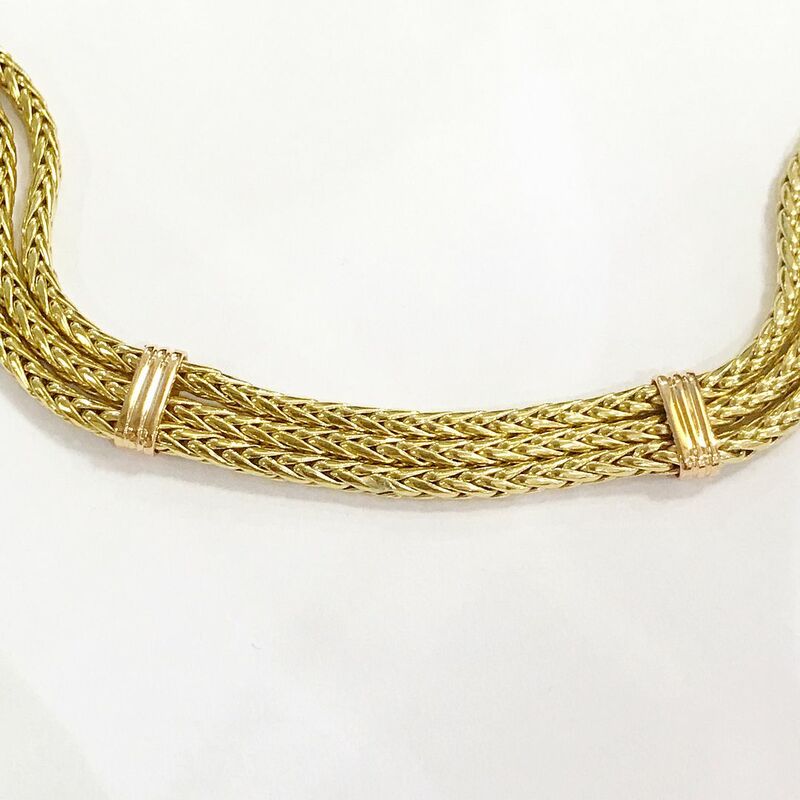 8mm to 14mm graduated 14k yellow gold link necklace, now $1,925. 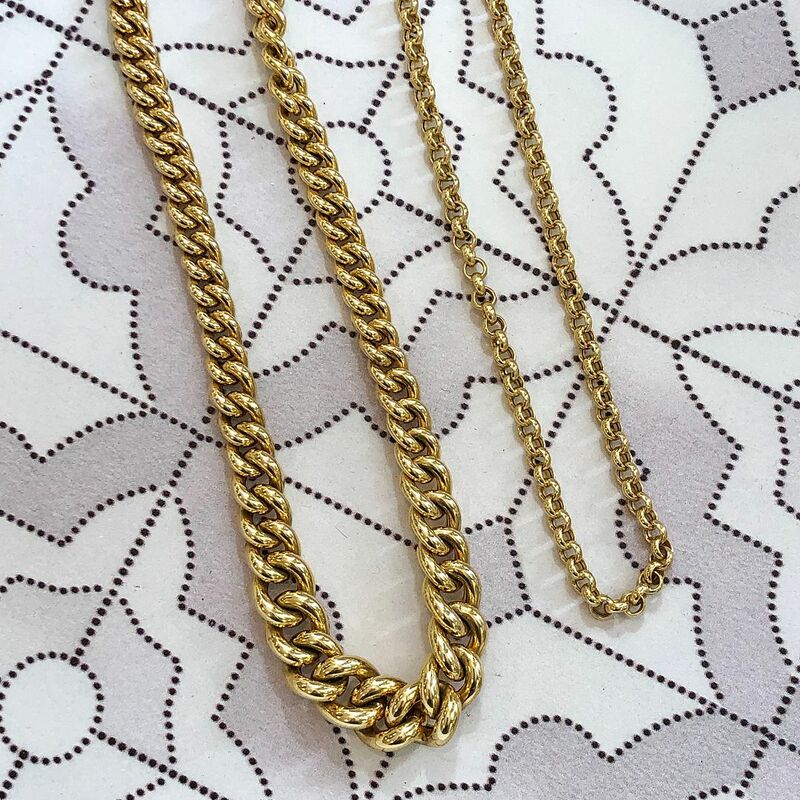 13.9 grams 18k yellow gold link chain, now $907. 13.75ct blue topaz with .12ctw SI clarity G color diamonds set into 14ky gold, now $1,397. 20.74ctw rose quartz, citrine, green amethyst accented by .08ctw SI clarity G color diamonds in rose gold, now $1,047. 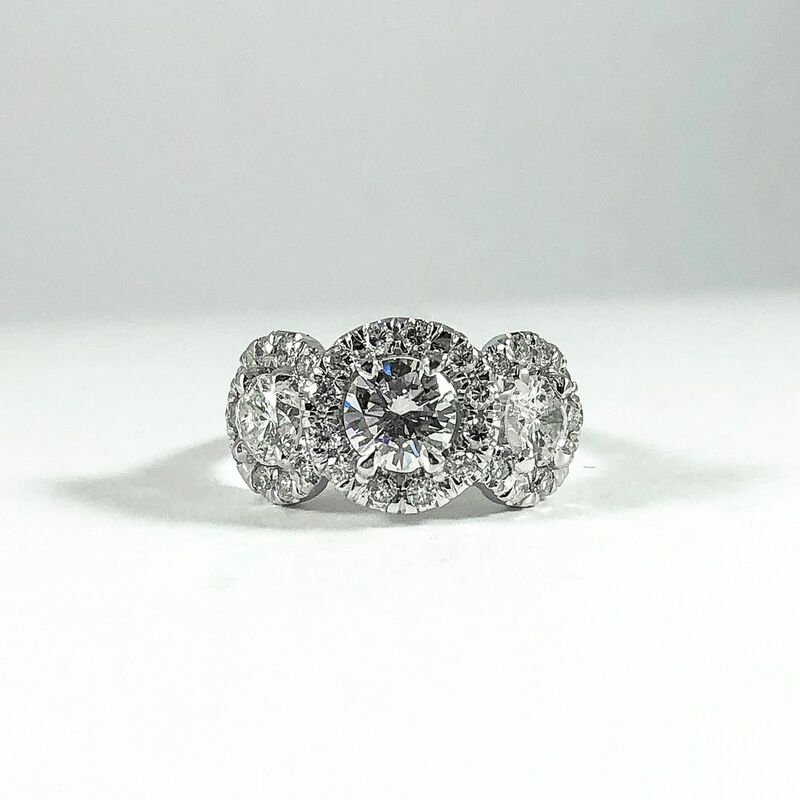 Price drop on this gorgeous estate piece! 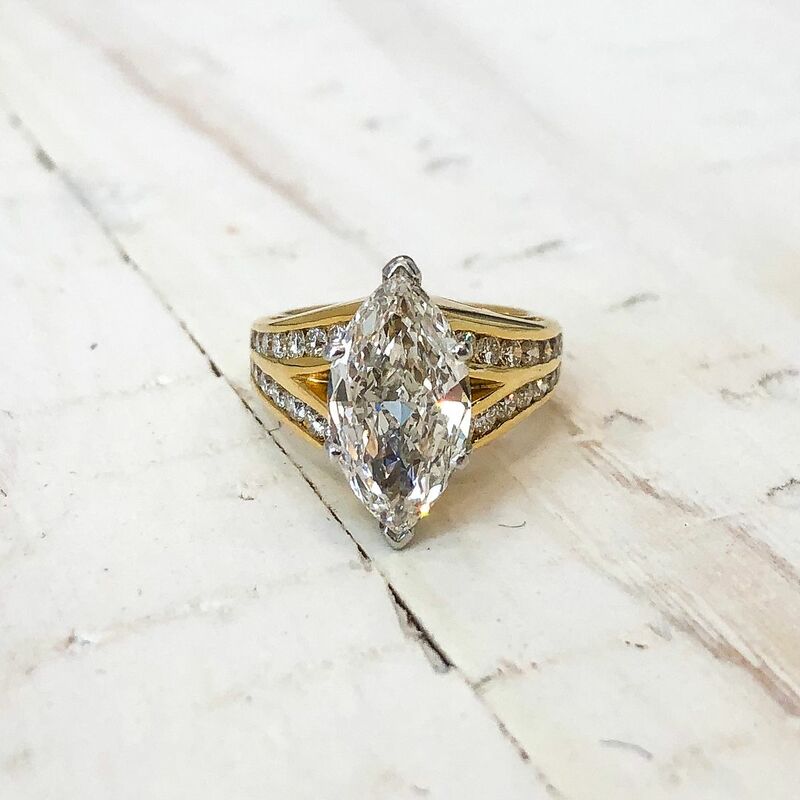 18k yellow gold 3.01ct marquise K, VS1 GIA with 0.82ctw in setting I, VVS engagement ring, originally $29,500 now $23,715. We have so many amazing new consignments to share with you this week! 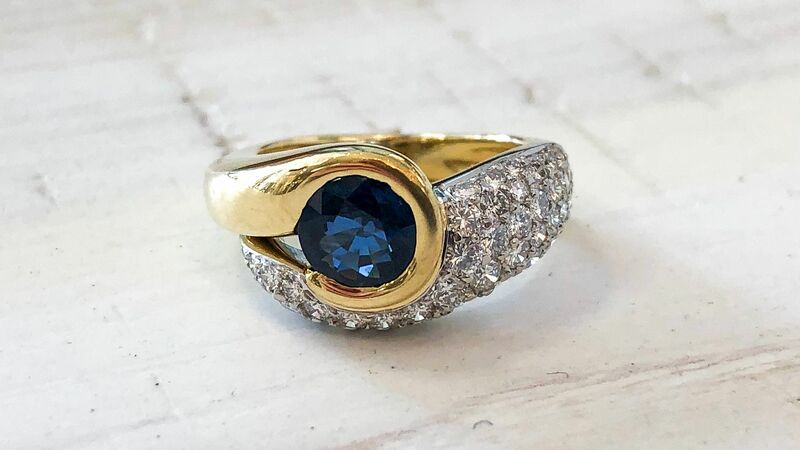 1.20ct sapphire and 1.04ctw diamonds in a platinum and 18k yellow gold, $5,495. 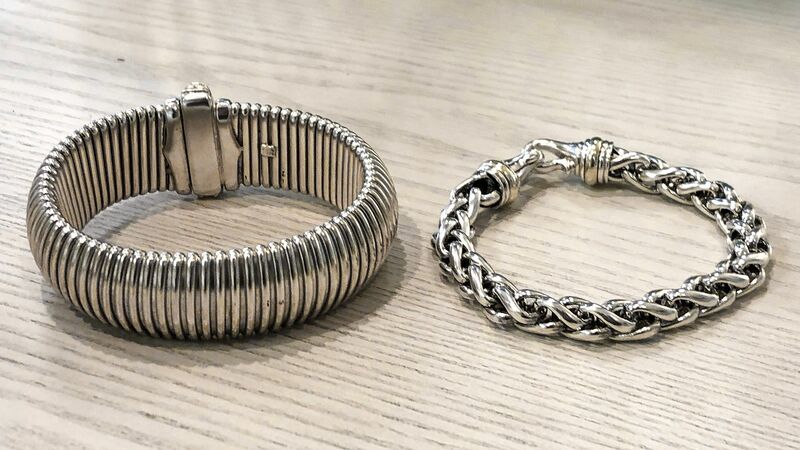 Ribbed sterling silver bracelet, $195. D.Yurman sterling silver and 14k yellow gold wheat chain bracelet, $395. 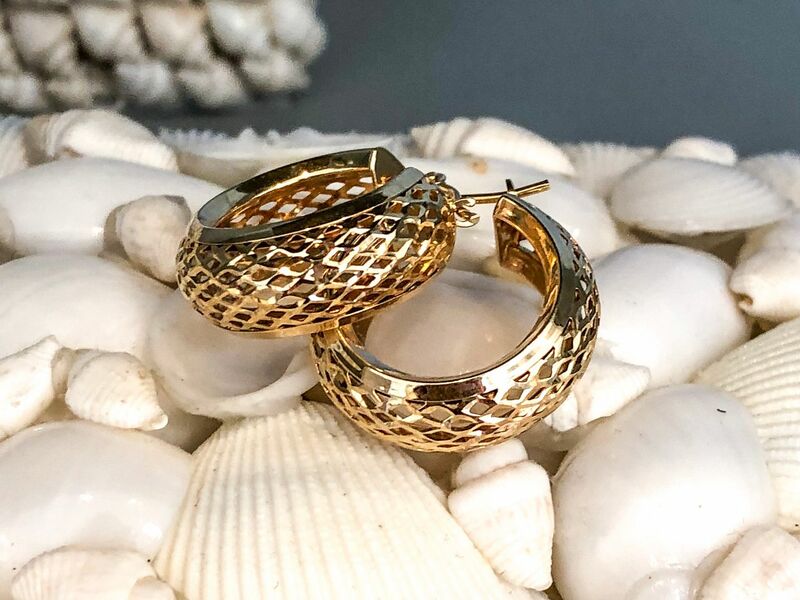 2.6 gram 14ky gold small hoop earrings, $195. 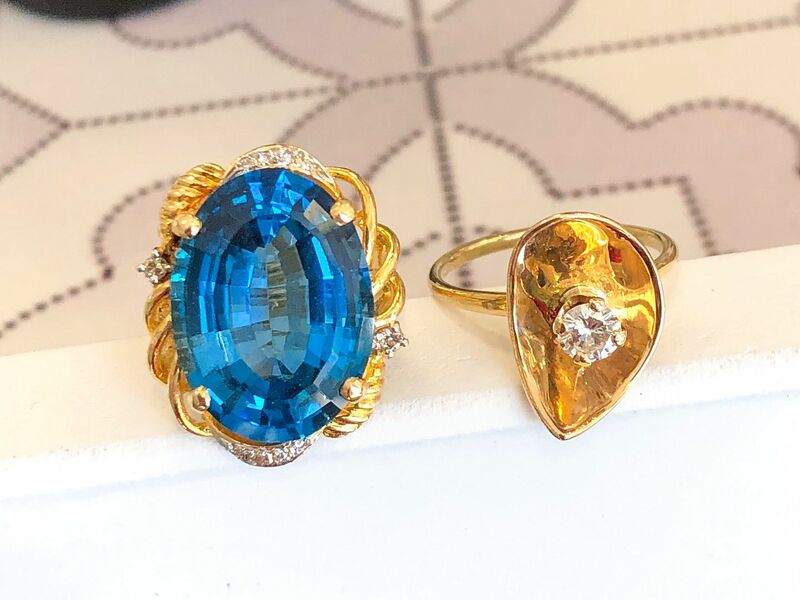 Blue topaz and diamond ring in 14k yellow gold, $595. .30ctw G color VS2 clarity diamond in a 14k yellow gold setting, $495. 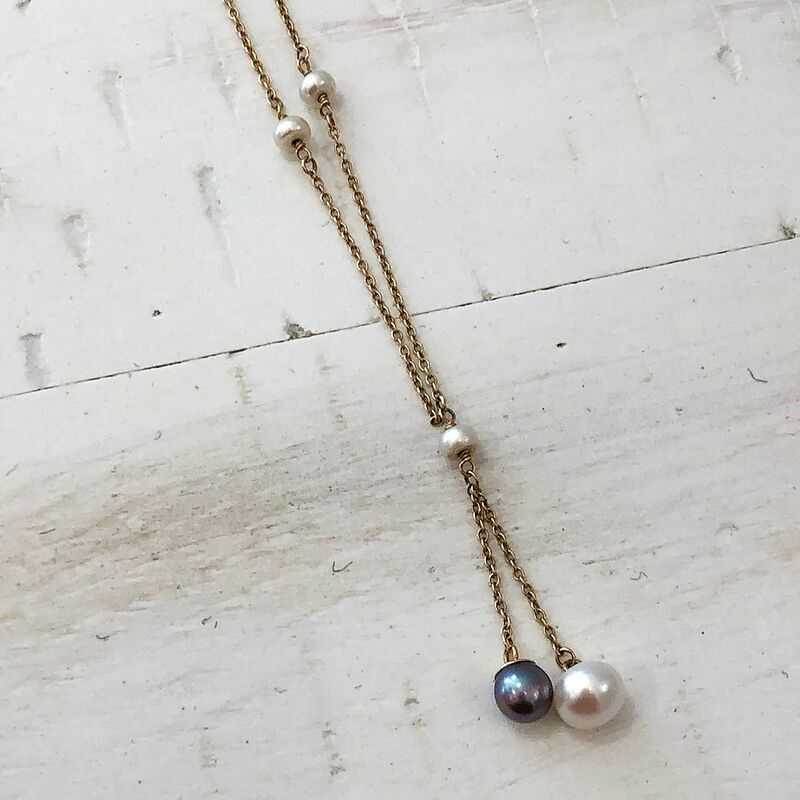 Freshwater pearl and 14k yellow gold station necklace, $275. but saving money will always be in fashion!